one thousand cows. – waste2energy. | clean. sustainable. feasible. Agriculture, the whole sector is responsible for 33% of all green house gas emissions on the planet. Nearly two-thirds of those agricultural GHG emissions are sourced to the livestock sector. Enteric fermentation by ruminants accounts for the majority of these emissions (40%), manure management from all livestock and its spreading and manure that is left on pastures accounts for further 26% (this comprises cattle, dairy and non-dairy, horse, mule and donkey, swine, sheep, goat, lama, buffalo, chicken, duck and turkey). By using manure in anaerobic digestion (AD) we can solve some of the emission problems associated with it – and produce a lot of energy. In the generizon world one dairy cow produces 27kg of manure each day, which amounts to 10,000kgs or ten tons of fresh manure per year. Ten is a nice round number to work with. On a farm with 1,000 cows this totals 10,000 tons of fresh manure per year. Used in an anaerobic digestion process this can produce 416,000Nm3 of biogas per year, which can yield the enormous amount of one million kilowatt hours (kWh) of electricity per year. So one single cow produces manure worth 2.7kWh of electricity every day. It only takes 2.4kWh to power a 100 watts light bulb all day long. now you want the whole story. keep reading. In Germany a “standard” cow is a dairy cow of 500kg of bodyweight; this cow is called Großvieheinheit (GV or GVE). This is pretty similar to livestock units (LSU or LU) in the UK and elsewhere. One GVE or LSU produces around 22 liters of milk per day (8,000 liters per year). It also produces slurry, (liquid) urine and (solid) feces, of 40kg/day, this is 15l of urine and 25l of manure. In France, and for that definition in Morocco too, the “standard/official” cow is bigger. The unité de gros bétail (UGB) weighs 600kg; it is more like the standard Holstein or dairy cow of 650kg. By now, you are getting the message; larger beasts produce more milk and more slurry and manure. Every cow produces manure of around five to six percent of its bodyweight and urine of four to five percent. In order for cows to produce milk they need to give birth to a calf, usually the first time after two to three years. It is lactating dairy cows that produce most slurry, manure and urine. Table: dairy cows. weight. milk. slurry. manure. 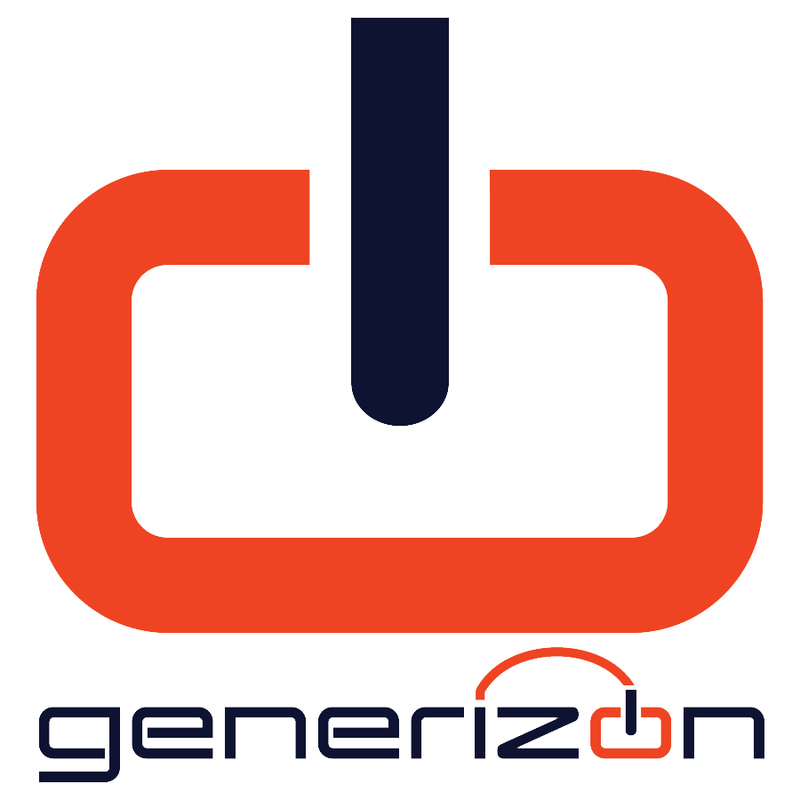 For simple calculations at generizon we have defined the generizon dairy cow that produces 16t of slurry a year, ten tons of fresh manure and six tons of urine. Ten tons per year is a nice round number. simple biogas calculation. one thousand cows. For biogas evaluations urine usually has little value as it consist mostly of water. Urine obviously can enter the substrate of the anaerobic digestion (AD), as disposing of it elsewhere might create environmental problems. As entrant to the AD process its nitrogen represents a valuable nutrient for the bacteria, the liquidity is essential for a wet digestion and would otherwise be replaced with water. Fresh manure on the other side typically consists of 85 to 90% of water, which translates to a dry matter (DM) content of ~13% (DM is also called TS, total solids); that is at the moment of production; fresh. Volatile solids (VS) amount to typically 80% of DM (VS is also referred to as ODM, organic dry matter). It’s the ODM of the DM content that establishes the base for our biogas yield calculation; it is expressed in liters per kg (l/kg), or normalized cubic meters per ton organic dry matter (Nm3/t ODM). As a rule of thumb one ton of fresh ODM yields 400Nm3 of biogas with a methane (CH4) content of 60%. This can vary a bit; depends on the cow’s race, the food fed and the conditions under which it is being raised. So our herd of one thousand generizon cows with a fresh manure production of 10,000 tons/year, a DM of 13% (1,300t/y) and ODM of 80% (1,040t/y), may yield us biogas of 416,000Nm3/y and methane of 249,600Nm3/y. 28,5Nm3/h CH4 translates into 285KW theoretical thermal power. Got it? Table: simple biogas calculation. indications only. We want to take our simple example, which serves our illustration purpose perfectly, one step further. When manure is not collected daily, it becomes dry as water evaporates; DM goes up to 20% after a week, 40% after a month and even higher. Water as we know doesn’t produce any biogas, the biogas producing capacity of the dry matter remains pretty much in place, some degradation though can be observed, ODM drops slightly, and biogas yield/t ODM too. Table: fresh and dry manure. for illustration purpose only. To achieve the highest possible gas yield frequent collection of manure is vital. Additional factors that influence the biogas yield and enter the calculation are the percentage of bedding material like straw and the amount of fodder leavings; both are collected with the manure. 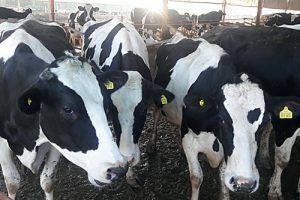 So what are the green house gas GHG emissions that can be saved by using manure of one thousand cows in an anaerobic digestion (AD) plant? Please read on in the carbon equivalent savings section.